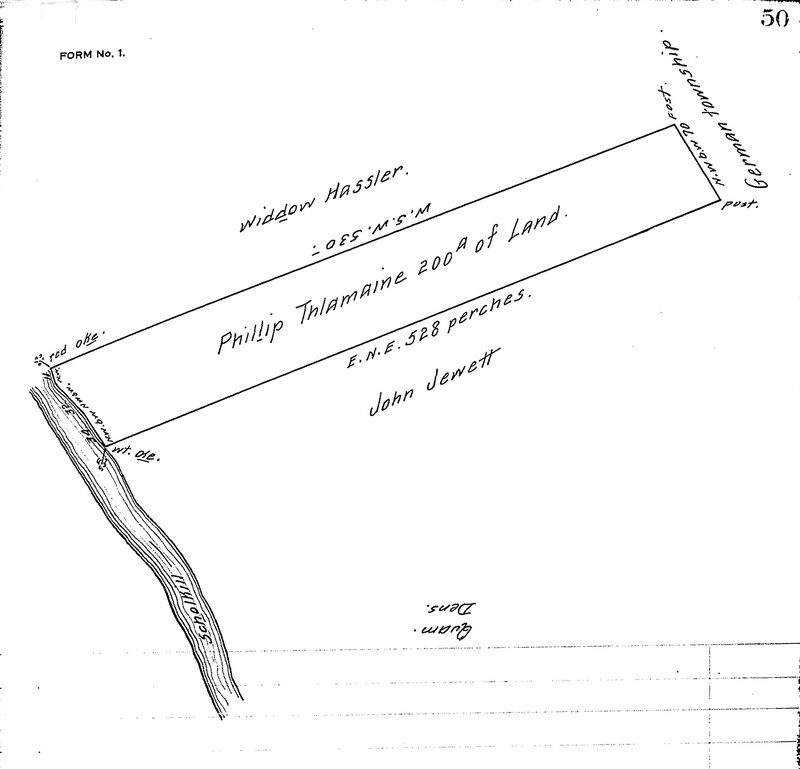 In 1692 John Day, a prosperous Quaker merchant of Philadelphia, was intending to go to sea. He wrote his will, left, and was never heard from again. He left a widow Hannah. She may have mourned for John but after a time she turned her eye toward remarriage. Three years after John disappeared, the stern Friends of the Philadelphia Monthly Meeting advised Richard Sutton that he should not be too forward in getting into the affections of Hannah Day in order to marry. They told William Rakestraw the same thing. They advised Hannah not to entertain William Rakestraw, Richard Sutton nor any other person in order to marry until a certain account shall come of her husband John Day’s death. Hannah tried again in 1699 with James Atkinson. By now it was seven years since John had left. The women’s meeting approved their proposal and brought it to the men, but the men’s meeting declared that, “There was no proof that her late husband John Day is certainly dead, although long absent, therefore it is the advice of this meeting that they cannot proceed to marry among friends.” Hannah and James went ahead and married anyway; she died as his widow. The people on the map: What was their religion? Religious affiliation is more difficult to categorize than occupation or immigration. Affiliation could change over time, as when some Quakers followed George Keith in 1692 and became Baptists or Anglicans. And it was not always recorded. The Quakers were the only group with surviving early records. If someone does not appear in the Quaker records, does that mean that they were not Quaker, or simply that they were not active in the meeting? Evidence for religion comes from Quaker meeting records, burial records of non-Friends, wills (for example, those with bequests to other churches). sometimes by association with people of known affiliation, like the Dungan family of Baptists. Certain assumptions are reasonable. The Swedes were overwhelmingly Lutheran, many attending the church at Wicaco, later Gloria Dei. There were known Anglicans in the province, such as William Markham and George Foreman. There were people whose behavior shows that they were not Friends, like Gilbert Wheeler the unruly innkeeper. Using available evidence, religious affiliation was classified into Quakers, Lutherans, Unknown, and Other, a category that included Baptists, Anglicans, and the occasional Catholic. 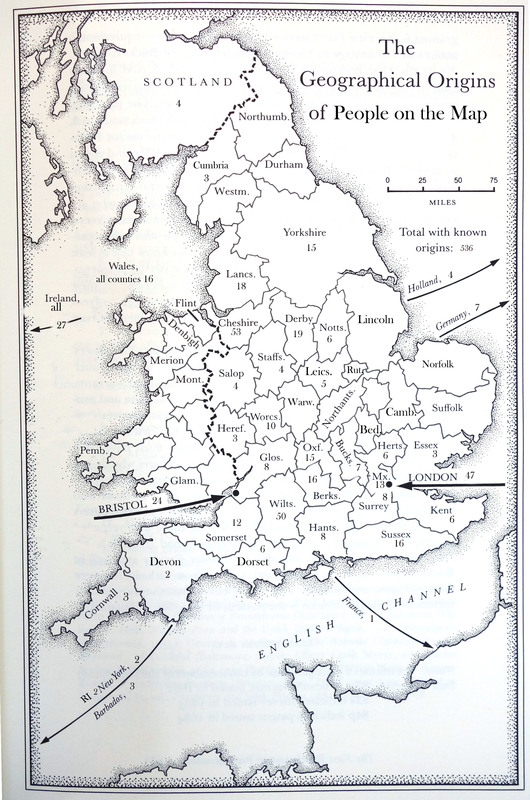 As the table shows, the people on the map were predominantly Quaker. Does this mean that the people in the province were predominately Quaker? The answer is no. There were many people missing from the map who show up in court records, wills, and land records, and many of them were not Friends. Since the Quaker meeting houses were too small to hold the population, even in the early years, it is clear that many people in the province were unchurched. The people on the map: Where were they from? 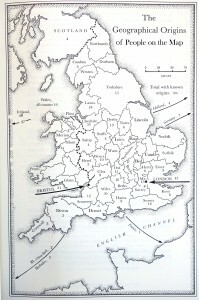 The people on Holme’s map were from many of the same regions as Quakers in general, even though they were not all Quaker. 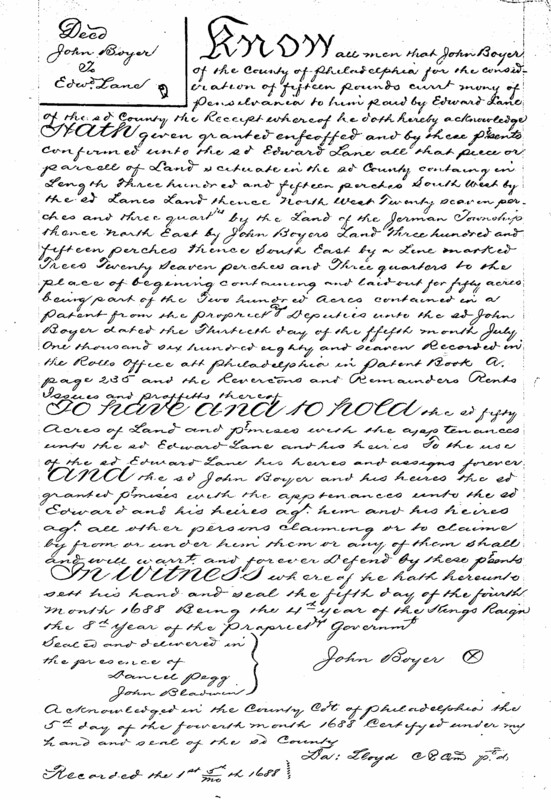 The evidence for origin comes from land records,especially for First Purchasers and people who sold their land while still in England, English Quaker records, certificates of removal, and a smattering of other sources. Because of the particular records that give place of origin, we know the origin of almost all who did not immigrate. Many of them were First Purchasers. Those who immigrated appear in many records, most of which don’t show origin. This is the same pattern as for occupation. The cities of London and Bristol provide many of the people, especially the merchants. Many of the farmers and artisans came from a few counties, especially Cheshire and Wiltshire. There were few from East Anglia; that was Puritan country. 2 Some of the clusters reflect patterns of immigration. For example a cluster from Derbyshire ended up in Darby township, Delaware County. More analysis would probably show more clusters like this. And of course the Welsh predominately settled in the Welsh Tract. The occupations of Pennsylvania in the 1680s fall into six categories: artisans, farmers, merchants, gentlemen, service providers, and others. These categories are for the men on the map. The women are a special case and get counted separately. Artisans were people who made things. Carpenters, tailors and shoemakers were the most common, along with maulsters who made beer. John Bowyer was a shipwright. Some of them had occupations in England that would been irrelevant in the new world; Edmond Bennet had been a tobacco cutter in Bristol but probably became a farmer in Bucks County. The term merchant covered everyone from wealthy men like Samuel Carpenter who traded with England and the West Indies, to those who kept a small shop and sold dry goods and groceries. To be called a merchant was a status symbol. No one described himself as a shopkeeper, but there must have been many, in both the city and the countryside. Gentlemen did not have to work for a living. The Penn family, his relatives the Lowthers, wealthy merchants—they lived on income from investments and rents. Thomas Hudson of Macclesfield, Chester, was a land speculator who bought 5000 acres, sent his servants in 1685 to have the land laid out, did not immigrate. Richard Ingelo came on the Welcome with Penn, served as clerk of the council, went back to England in 1686 when he inherited property there. Like merchant, gentleman was an term of aspiration; some prosperous farmers described themselves as gentlemen in their wills. Some men (and one known women) provided a service: blacksmiths, millers, innkeepers, carters, ferrymen, midwife. These were essential, and in the case of ferrymen, sought-after positions. The council granted the Schuylkill ferry rights to Philip England, but in 1693 William Powell tried to muscle into the business and was rebuffed by the council. Innkeepers were supposedly licensed, frequently in trouble for selling beer without a license, frequently in trouble for selling rum to the Indians. The one known midwife was Mary Bradwell, who lived to be a hundred and named great-grandchildren in her will. There must have been other midwives whose names were not preserved. Some occupations are unusual and form a mixed group: the Swedish minister, doctors, surveyors, clerk, schoolmaster, mariner. Except for the mariner, this would be called a white-collar group. They were probably all literate. But some of them were also probably farmers. 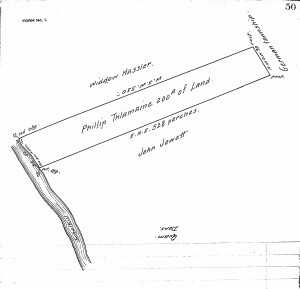 For example, John Southworth was the clerk for Philadelphia County in 1683 but also owned 500 acres of land. The women on the map are a special case, when considering occupation. Of the 34 women on the map, only a few were wealthy enough to live on their income, such as Gulielma Penn and Margaret Lowther. Of the others, 21 were widows, including 8 who were widowed during the voyage or immediately after. These women would need to support themselves and their families with their main asset—their land. Although women were never described as farmers, many of them must have hired laborers (or had adult sons) to run a farm. The people on the map: did they immigrate? With the people identified, we can answer questions about them. Did they immigrate? What were their occupations? Origins? Religious affiliation? Some of these are straightforward, others trickier to define. The question of immigration is straightforward, and the evidence is usually clear. Evidence for immigration comes from any record that shows them living in Pennsylvania: a deed, a will, church records such as Quaker meeting minutes, signing a petition such as the tax protest of 1692. We find that the majority of people on the map immigrated or were born here. The absentee landlords were a minority. In that sense the map gives a mostly true picture of who was there living on it.